We are a leading Exporter of venturi scrubber, packed bed scrubber, exhaust scrubber, air scrubbers, wet scrubbers and gas scrubbers from Surat, India. 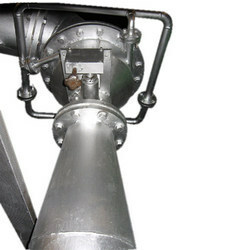 Leveraging on our immense technological knowledge as service providers of Customized Fabrication of broad array of Scrubbers we offer Venturi Scrubber to our clients. We use SS316 grade of steel to ensure remarkable resistance to chemicals and other toxic materials. We fabricate these in strict compliance with the clients’ specifications by observing stringent standards of quality and offer them to our prestigious patrons at competitive rates. Looking for Industrial Venturi Scrubber ?